I brought up Amazon.com in a tab and went to the sign In page. Double-Clicking on the 1PW icon does nothing there either. Sure. Let's say I go to amazon (I'll start with 1Password locked). If I type "b", I see a dropdown with the possible email suggestions from Firefox. 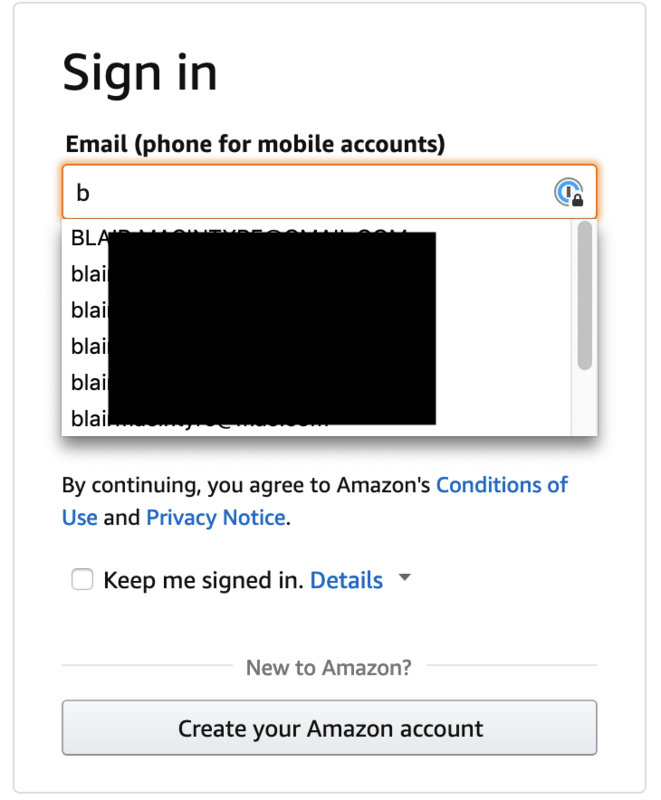 Visit the sign-in page for Amazon. Another example of these would be Amazon: because you can login to every Amazon website with the same account, we also have a rule to treat every Amazon domain as equivalent when filling. RE: Add ability to manually sort Related Items? Not really, I don't mind it being too secure, but it becomes a pain if I am locked out for days, I am not an expert here, but are you trying to imply gmail/amazon is not secure ?